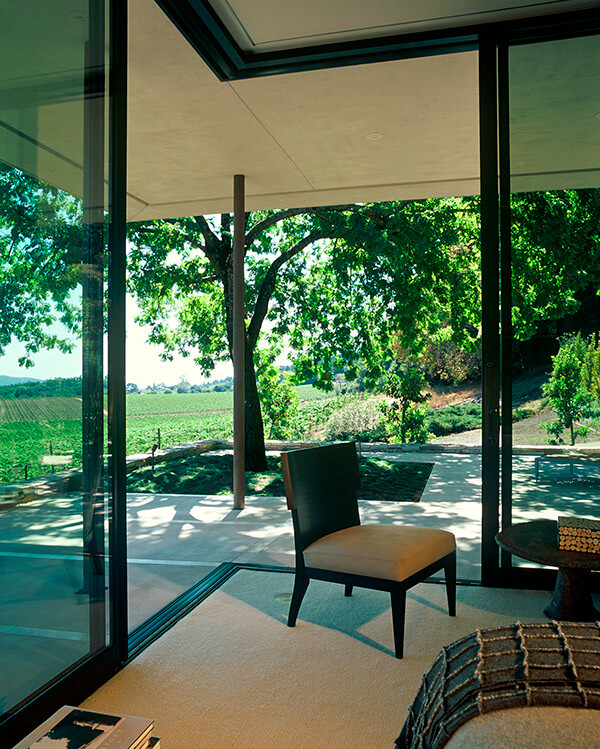 while enjoying the site's panoramic view. 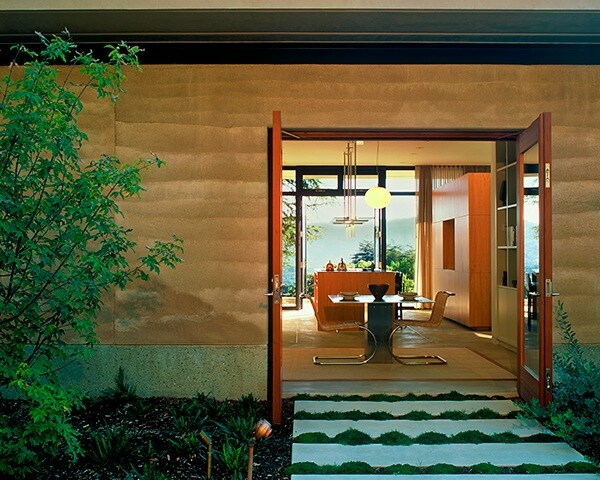 through the anchor wall reveal carefully orchestrated glimpses into the lush hillside garden. 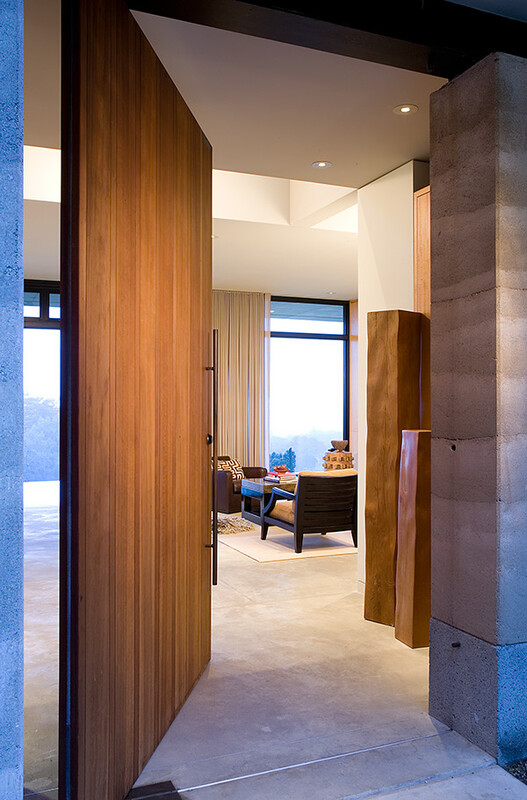 the inherent beauty of the materials used, and to the owner’s collection of art and antiques. 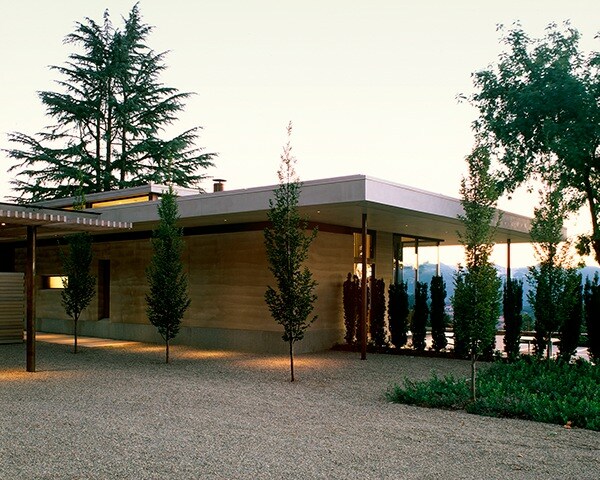 deep roof overhangs; the solid west wall and wooded hillside shade the house from intense afternoon heat. 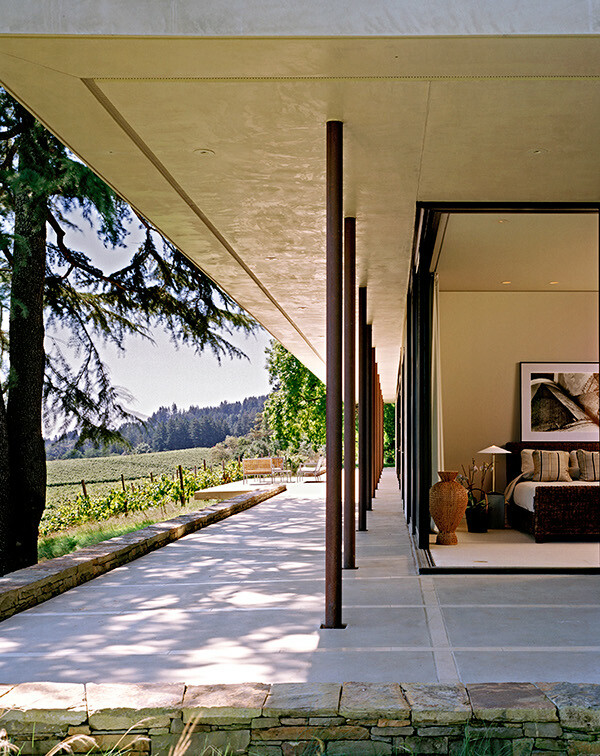 terraces, embracing the indoor-outdoor lifestyle afforded by Sonoma's temperate climate. 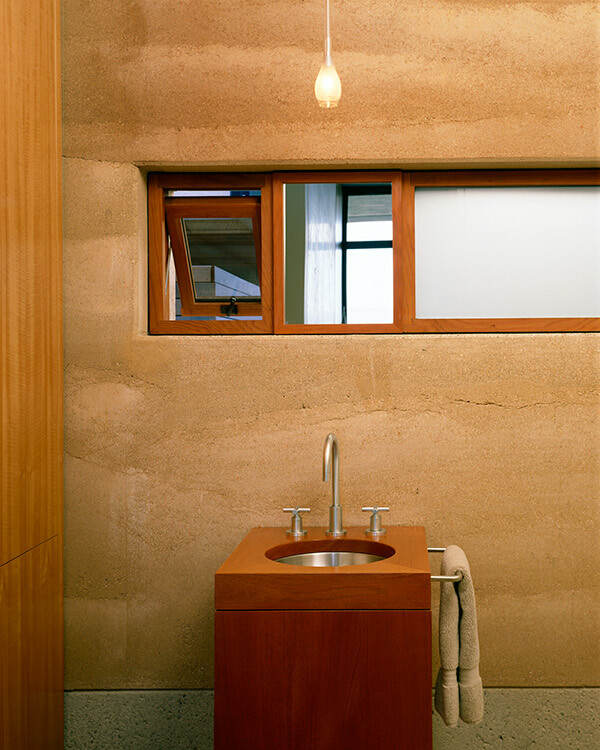 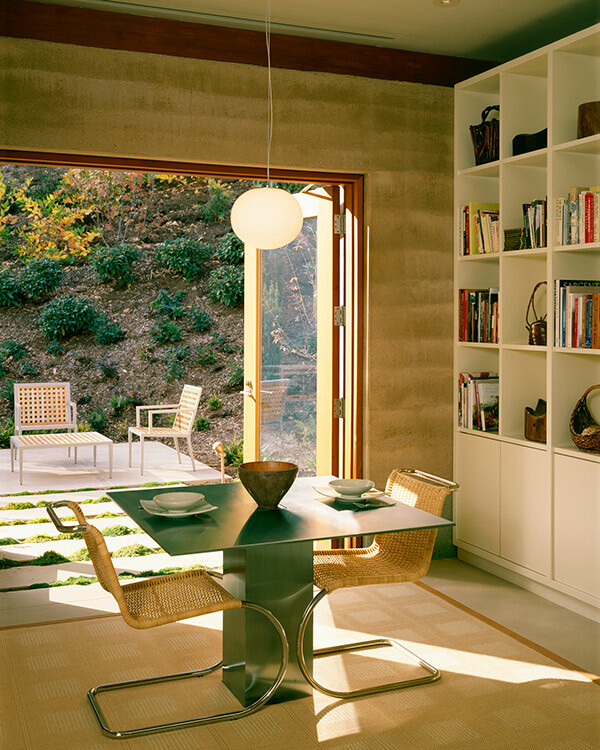 Placed between a forested mountain and rolling vineyard, a rammed-earth wall demarcates the primary spaces of this single-story house. 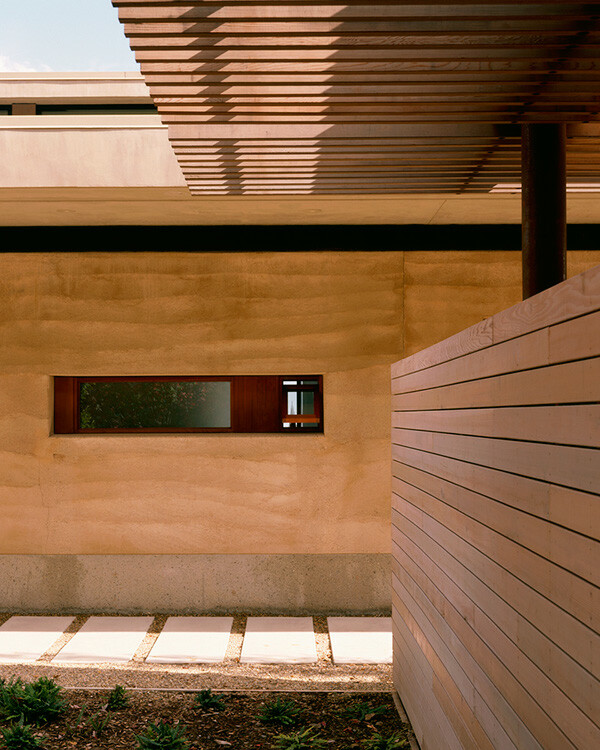 Built of native earth and woven among existing trees, this monolithic wall anchors the building structurally, ecologically, and experientially. 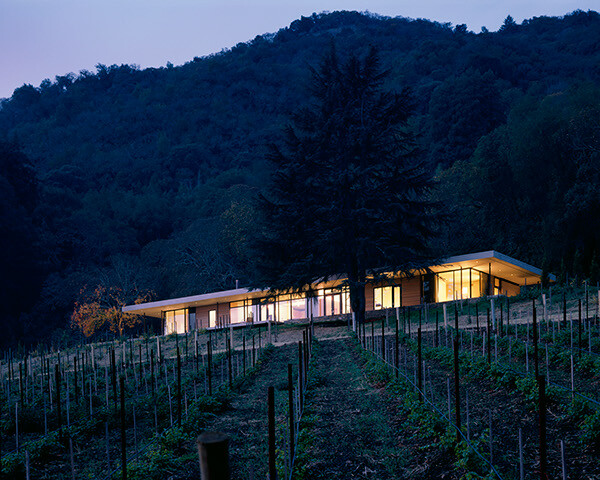 Floor-to-ceiling glass completes the building envelope and captures panoramic valley views. 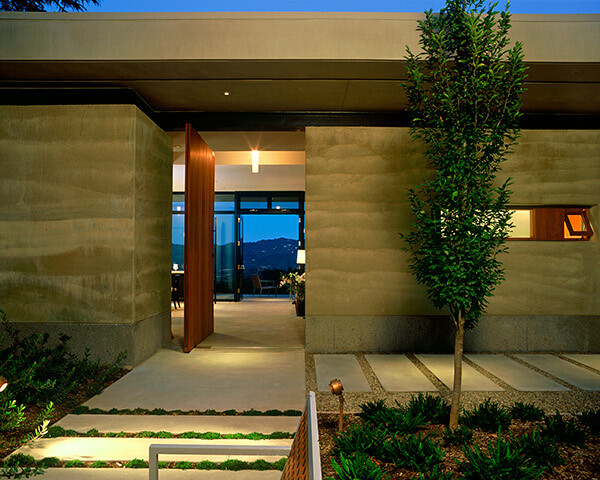 The glass and earth walls work together to orchestrate indoor-outdoor living and to provide passive heating and cooling.